"Ecosummit accelerates smart green startups, investors and corporates in Berlin, Amsterdam, Stockholm, London and Paris. We promote startups, support co-investing and facilitate open innovation and corporate venturing. We focus on smart green cities, energy, mobility, buildings, IoT, AI, robotics and blockchain to foster the energy transition and low-carbon economy. Our conferences are physical marketplaces enabling personal meetings and long-term relationships in a relaxed and productive atmosphere." Det är hur många spännande företag som helst på plats, och alla ska göra femminuterspitchar inför investerarna som är på plats. Det blir som en jättestor lösgodispåse av lösningar! 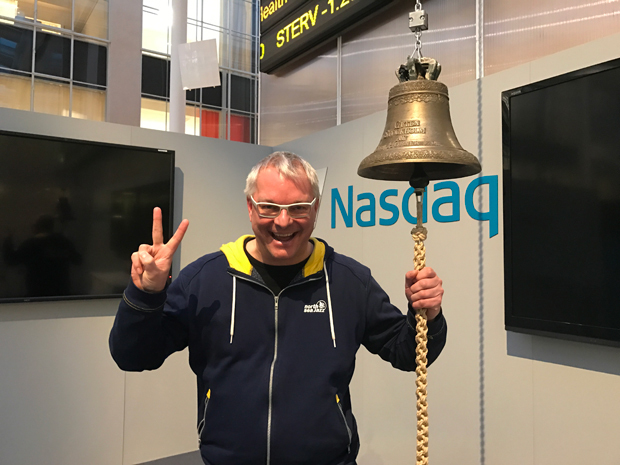 Jag kommer själv vara på plats och pitcha Velove, och förhoppningsvis också twittra en del om jag inte är för nervös inför pitchen. Allas vår miljöentreprenör Jeppe Larsen kommer också vara på plats och twittra. 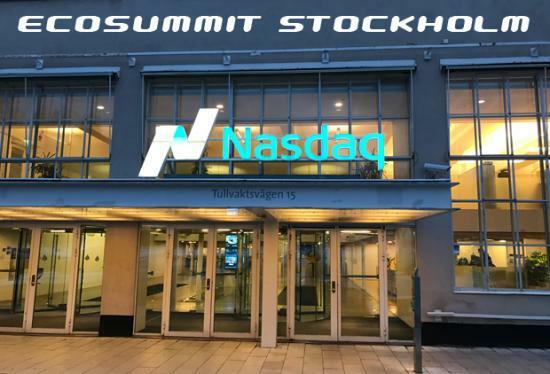 Ecosummit it is good that the focus on smart startups, mobility blockchain and robotics energy and low carbon economy it is good for all the companies to come and participate in this ecosummit and I also hear a lot about NASDAQ it is the second largest stock exchange market in the world I write my assignment for me on these topics to share information with others. De fleste af disse indikatorer måler en unik samling af virksomheder baseret på udestående aktier og aktuel aktiekurs, og de indeksværdier er præsenteret i form af en løbende numerisk værdi og / eller grafisk kort over en periode af tid. I am happy to read such an amazing post. Nowadays, the mobile applications are sold and the business owners of these applications are great profits. The mobile app developers are preferring the web apps over native apps, you might be thinking what is the difference between the web applicaions vs native. Well, there is no massive difference, the mobile web apps run on any devices over the internet.